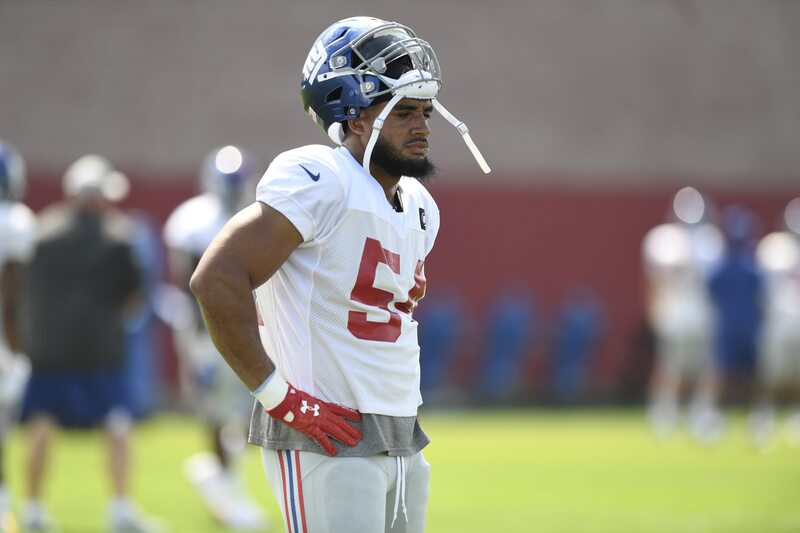 The return of outside linebacker Olivier Vernon will be a huge boost to the New York Giants‘ defense, especially with tough offensive matchups on the horizon. The defense’s best pass-rusher returned to practice on a very limited basis on Thursday, riding the bike and sitting alongside a trainer. It’s not expected that Vernon makes a return this week against the Dallas Cowboys in their home opener, but I can imagine he’s marked week 3 as a realistic time-table for his injury. High ankle-sprains are extremely sensitive and prone to re-injury, which makes this much more serious. In 2017, Vernon suffered a similar injury and was forced back onto the field far too soon which limited his effectiveness throughout the season. Expect the Giants, especially head coach Pat Shurmur, to keep him sidelined until he’s 100%. Giving him another week to heal would be the right move. What happened at practice today for the New York Giants? An emotional Janoris Jenkins left practice today to tend to a family matter, separate from the charges on his brother. According to other reporters, Jenkins was visibly upset and his situation was kept under wraps. His availability shouldn’t questioned for Sunday’s game, but we will keep an eye on him to see if it’s something that could affect his play. A new addition to the injury report this week was wide receiver Sterling Shepard. His ailment doesn’t seem to be too serious, as it’s reported that he slept wrong. He was a full go on Thursday and will be healthy come game-time.